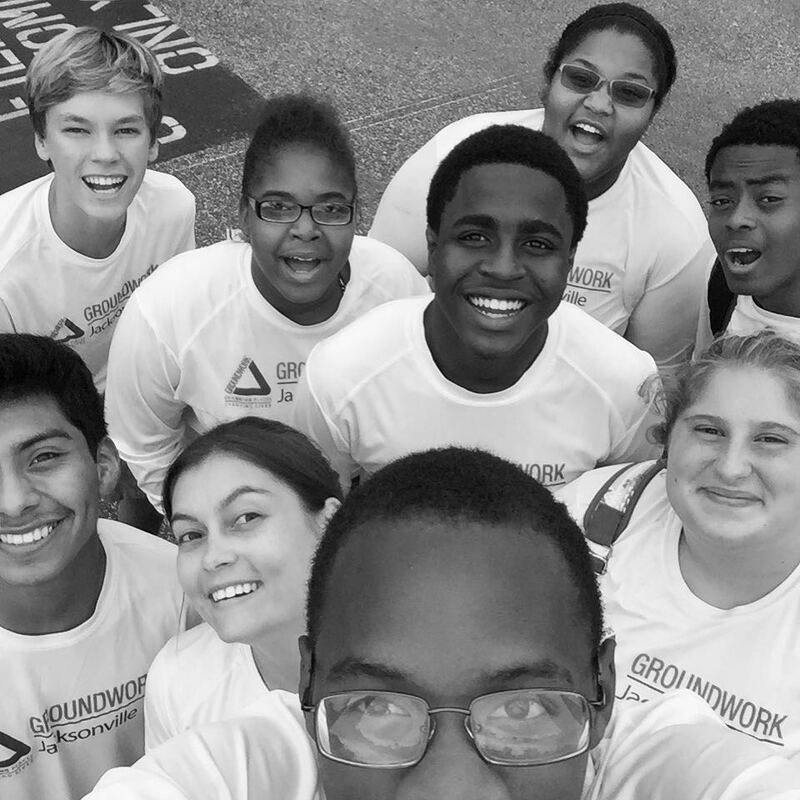 Groundwork Jacksonville is developing the next generation of environmental leaders and community stewards with our Green Team Youth Apprenticeship Program. 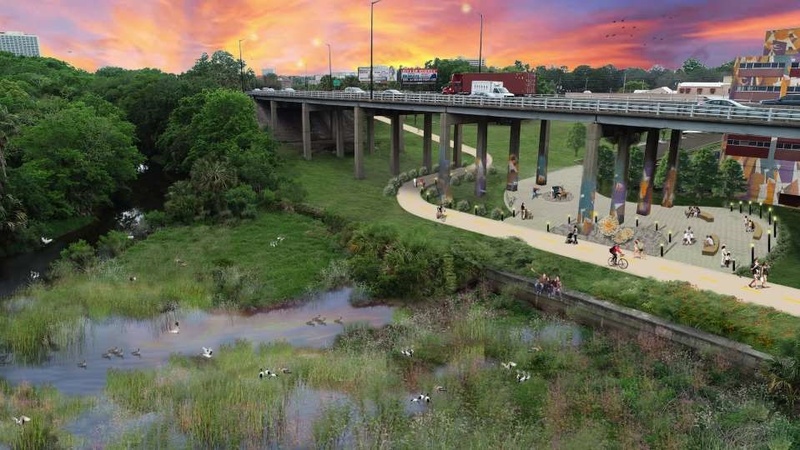 The proposed Emerald Trail, like this segment under Hwy 115 (Mathews Bridge) adjacent to the Art Lofts, will allow residents to safely walk, bike, play and connect… with their city and with each other. We are working with the City on a plan to restore McCoys to a naturally meandering creek that will prevent flooding, improve water quality, add habitat for fish and wildlife and promote a more sustainable ecosystem. 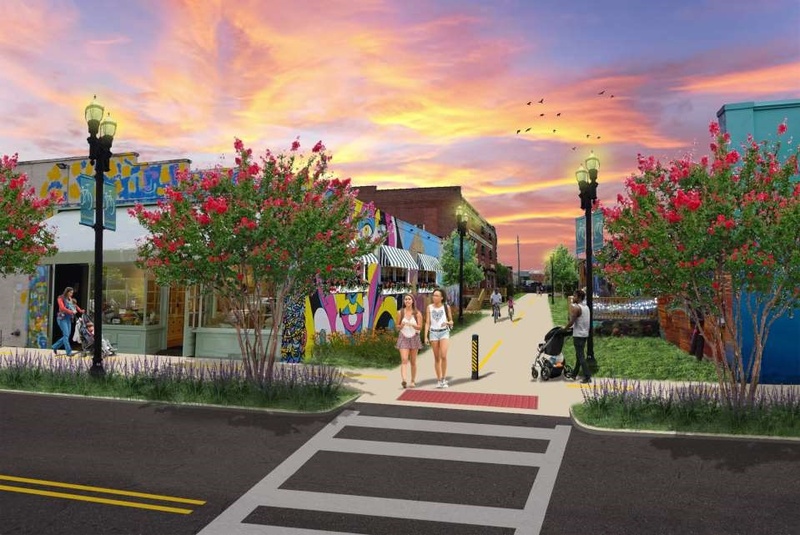 Now a vacant rail corridor, the proposed Emerald Trail will bring opportunities to activate vacant buildings, improve neglected neighborhoods and create cultural, recreational and retail activity. Groundwork has hosted many enjoyable rides along the S-Line. Once it connects with the proposed Emerald Trail, the S-Line will provide also a valuable transportation alternative. 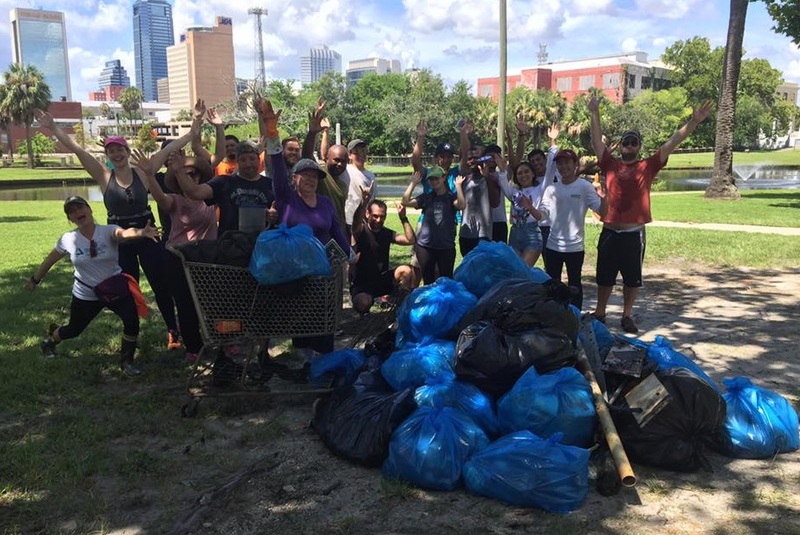 Groundwork hosts monthly creek clean ups to raise community awareness for the plight of our urban waterways. 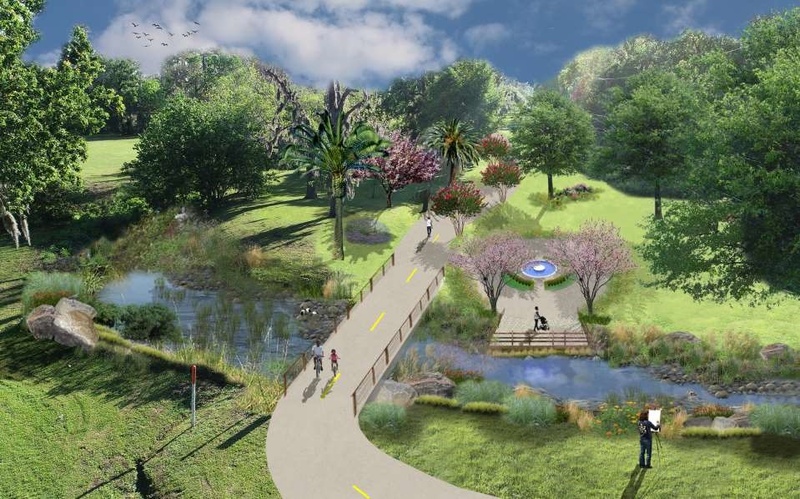 Groundwork Jacksonville is the city’s primary nonprofit organization specifically created to clean and redevelop the Emerald Necklace and convert contaminated land into parks, playgrounds, trails, and other public greenspace. 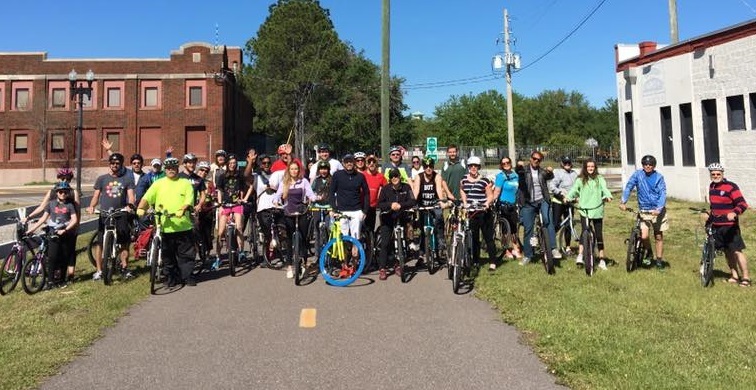 One of just 20 Trusts across the country and the only Trust in Florida, Groundwork Jacksonville, Inc. is a partnership between the City of Jacksonville, the US National Park Service, the US Environmental Protection Agency and Groundwork USA. Change Places and Change Lives! As a member, you'll also receive some cool perks! Become a member today!